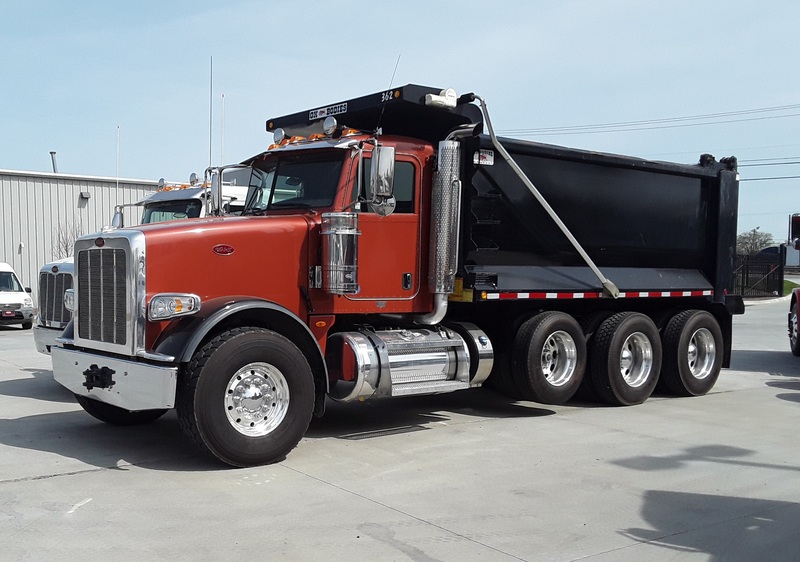 NEW 2020 Peterbilt 567-115-SBFA quad axle dump with 455HP/1650 Paccar MX13 engine with compression brake and Allison 4500RDS automatic transmission. Hendrickson Haulmaax, full wheel lock, front and rear air disc brakes. 20000# FAWR, 46000# RAWR, two steerable pushers at 11020# each, 80000# GVWR. 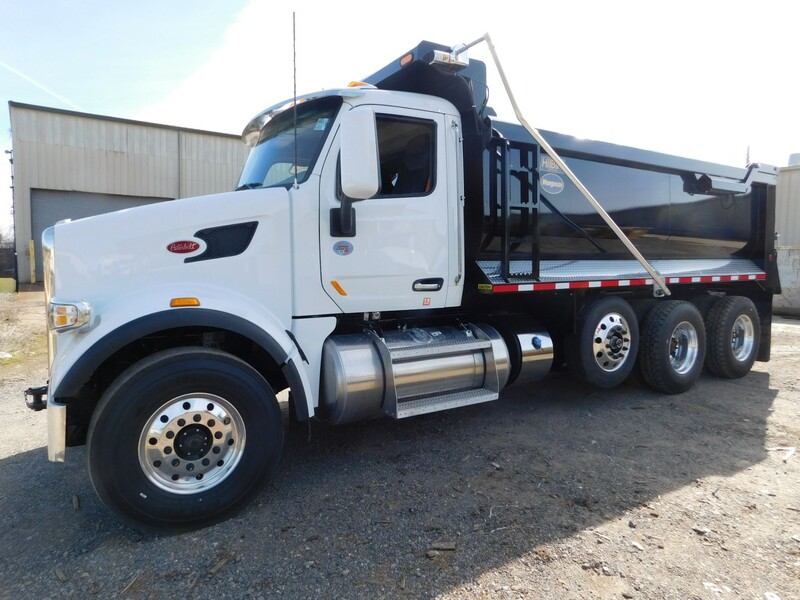 Equipped with 19'6" Hilbilt Mongoose 3/16" AR450 elliptical steel dump body with standard air tailgate and electric tarp. DOZENS of dump trucks in stock or on order, from single axles through quints!